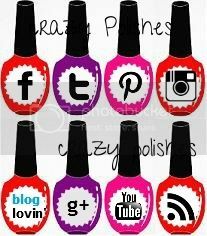 Crazy Polishes - nail arts, swatches, reviews Crazy Polishes: Fall Bokeh Nail Art and Instagram Gieaway!! Fall Bokeh Nail Art and Instagram Gieaway!! It feels so weird to have spring/summer in November-December if you have spent last thirty fall/winter in these months. Well that's a big change if you shift from northen hemisphere to southern. Since fall manicures are everywhere on the internet, so i thought I should do one too, so what if we are having spring here :) and also it will make me try my untried barry m autumn/fall gelly collection. (picture here). I created a fall bokeh and then stamped some leaves on it. Here is my base for this nail art. It was my first time and its not perfect but i absolutely love the effect on ring finger. stamping polish: barry m gelly cocoa. 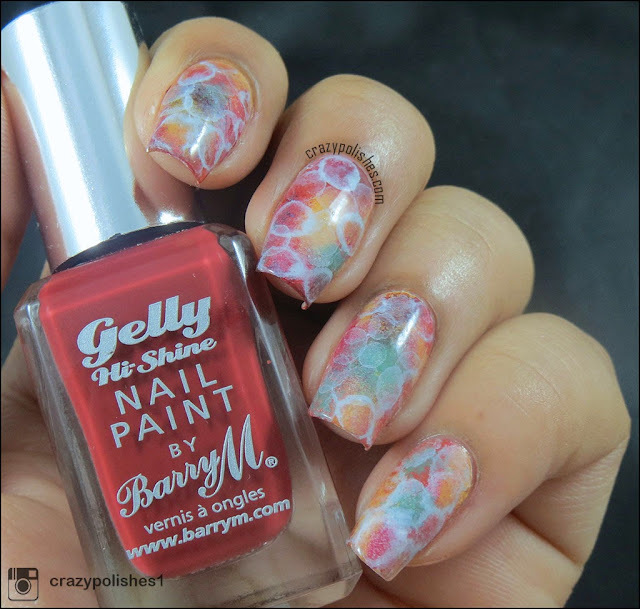 Its not a news that some barry m gelly polishes stamps well too and you can clearly see that in this nail art. So, which one you like more?? 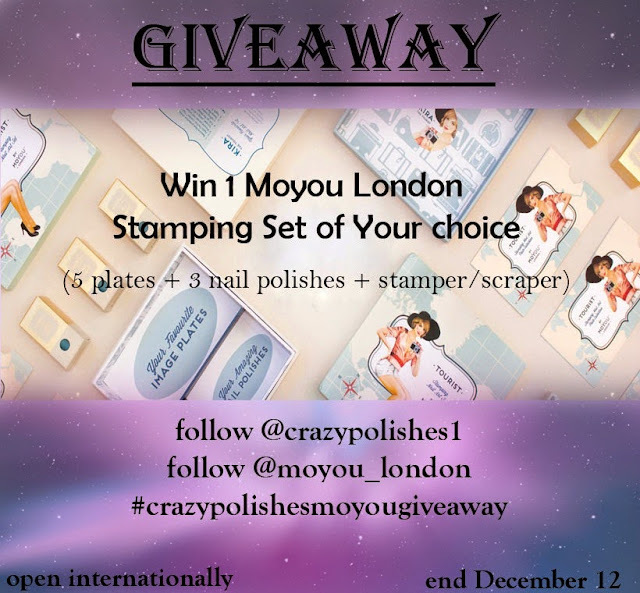 Also, I am having an Instagram Giveaway where one winner will get a complete Moyou Stamping Set of his/her choice consisting of 5 stamping plates, 3 nail varnish and round or rectangular stamper/scraper. Its opened internationally and will end on 12 December. It's a great opportunity so dont miss out.